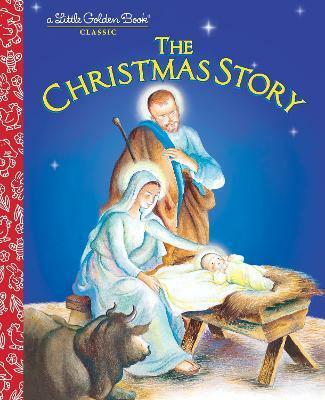 Share the meaning of Christmas with your children this holiday season with this classic picture book retelling of the Christmas story. First published in 1952, this Little Golden Book adaption of the Christmas story was illustrated by beloved artist Eloise Wilkin. Its simple but poetic text gently invites children to hear the story of Jesus' birth in a stable in Bethlehem. Imprint Golden Books Publishing Company, Inc.
JANE WERNER WATSON (1915-2004) was the original editor of Little Golden Books, and the author of numerous Golden Books herself, many of which were illustrated by the great children's illustrators of the mid-twentieth century. Some of her bestselling titles include The Fuzzy Duckling (illustrated by Martin and Alice Provensen), Animal Friends (illustrated by Garth Williams), and My Little Golden Book About God, The Christmas Story, and Wonders of Nature (all illustrated by Eloise Wilkin). ELOISE WILKIN (1904-1987) illustrated dozens of classic Golden Books in her long career, including The Christmas Story, Wonders of Nature, Baby Listens, and We Help Mommy. Famous for her beautifully detailed paintings of the natural world and of cherubic children, she helped make Golden Books an icon. Her Golden Books Prayers for Children and My Little Golden Book About God have never been out of print.